Online registration....check if you are eligible. 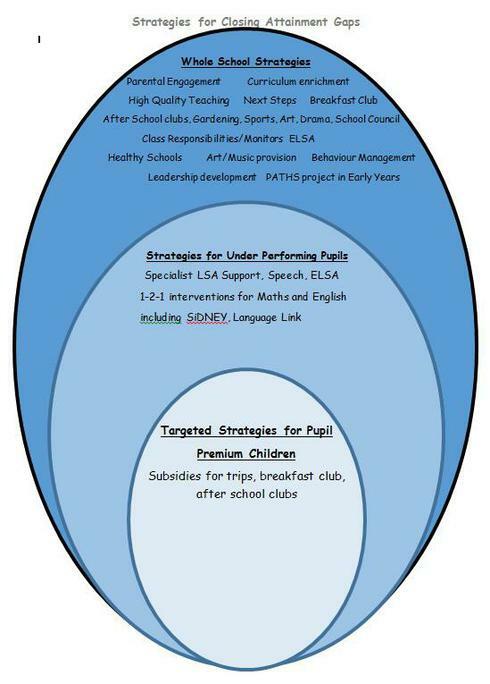 The Pupil Premium (PP) is an allocation of additional funding provided to schools to support specific groups of children who are vulnerable to possible underachievement. These include pupils who are entitled to free school meals (FSM); this will also include pupils eligible for FSM at any point in the last 6 years (known as the Ever 6 FSM measure). Those children looked after or previously by the local authority (LAC or Post LAC), or who have been adopted from care, the children of armed service personnel, this will also include service children who have been eligible for service funding in the last 5 years (known as Ever 5 measure). Approximately 50% of the budget will be spent on extra staffing to provide provision; approximately 20% will be spent on specific projects or resources including IT resources; approximately 30% will be spent on specific individual needs such as extra-curricular activities. Parents will be required to bid for extra-curricular support to ensure each child is getting a fair share of the budget.